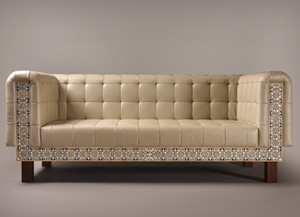 3 Seater Sofa styled with Mother of Pearl, Bone and Turtle Shell Inlay upholstered in Italian Leather. Copyright © 2015 Artikkan. All rights reserved. 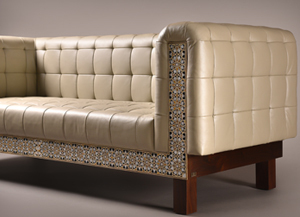 Designed by Astra Technologies.